Customer loyalty isn’t dead—just ask MarketingBitz. Some dealers simply use better tactics and incentives to keep their customers coming back. You need to be one of those dealers. The more you know about your customers, the more targeted you can engage with them and appeal to individuals on a personal level—which, ultimately, leads to increased customer loyalty and more sales. 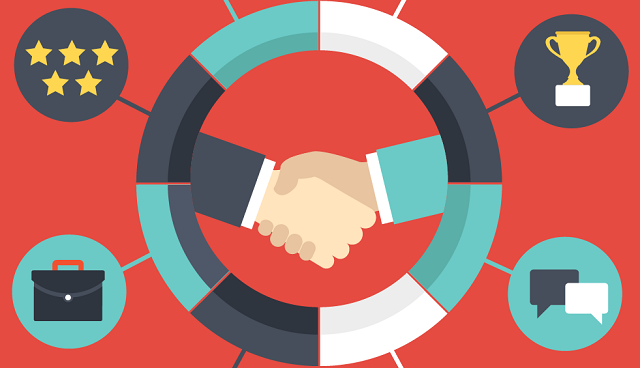 Here are four tactics you can employ today to increase your customer loyalty. Success isn’t as simple as handing new customers a punch card anymore. Consumers are more likely to engage with a loyalty program they can access from their phone, and if rewards and points are updated automatically so they can see immediate results. Think Starbucks. Their creative approach to rewards and customer appreciation goes a long way, even allowing customers to order ahead of time from the app on their phones so they can glide through their morning routine that much faster. When 81 percent of consumers are more likely to continue doing business with a brand that offers some sort of loyalty program, it’s irresponsible to offer nothing. Reputation management is like your least favorite vegetable. You know it’s good for you but you groan at the thought of dealing with it. Well too bad—you still have to do it. One way to get ahead of reputation is to request reviews from your customers outright, driving them back to your website and social media pages. They will be more likely to purchase or service from you again, and more likely to recommend your dealership to someone else if you positively engage with them. You can also use satisfaction surveys to listen to the customers who have been with you for a long time. Reviews and survey responses throughout the customer lifecycle help you more quickly address those who might defect to a competitor and allow you to immediately share positive responses. Consumers are way beyond ignoring and blocking SPAM. Now you are competing with the emails that make it into their inbox for who knows that customer better and who can immediately meet their needs. If you can’t, they are going to delete you—maybe for good. Dynamic communications, tailored to each consumer’s preferences and behaviors, shows them that you know them and know what they want. When consumers feel like they’ve been listened to, they have more incentive to purchase from you again and stay loyal to your dealership over time. A sincere thank you after an oil change or a note over Facebook congratulating someone on driving off with their new vehicle goes a long way, but it is so much more impactful when you also know that customer is considering trading in their current vehicle for a new model and you get in front of them with specials before they check out your competition. Insights matter. Forrester’s 2017 predictions declared that this year would be when the big data floodgates opened, and they were right. Dealerships that use artificial intelligence, machine learning, and the Internet of Things (IoT) to tap into deeper insights win over more consumers than their competitors. Two years ago, when Outsell started offering our first machine learning-powered marketing solutions, dealers had no idea how that technology was relevant to them. Today, they ask for it on the first sales call because they know they can’t compete in this industry without it. The primary benefit of artificial intelligence is its ability to process huge data sets quickly and accurately, and find patterns your BDC and Sales teams can’t. Alexa, Siri, Netflix and Pandora all use AI and machine learning to personalize services to your tastes. Over time, as they learn more about you, their recommendations become more and more accurate—and that’s what keeps you loyal. There is no reason in today’s advanced and ever-changing landscape that dealers can’t do the same for their consumers, and not doing it is to your detriment. Would I open an email from about something I’ve never shown interest in or the one from Amazon offering recommendations based on past behaviors and preferences? It’s a no brainer that some dealerships are already taking advantage of, and you should too. Learn more about our dynamic marketing automation platform.